Your customers don’t typically write reviews or tell others about you based solely on your logo or ads. That’s why we don’t just focus on logos or ads. 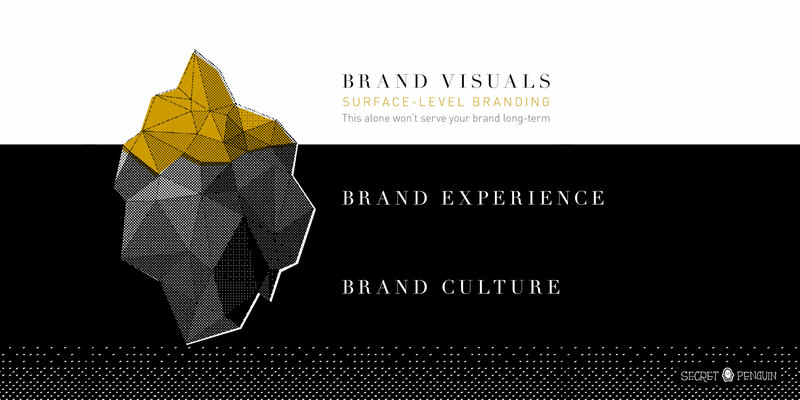 We focus on designing the full experience between a customer and the brand. That means the Before | During | After. Most agencies just look at the Before. Those Before items are important, but we don’t stop there – because your customers don’t stop there. You know how hard it is to switch banks? • 32% of new bank customers across America leave that bank within the first 100 days because of the poor or lackluster experience. The advertising/marketing got them in – but they were oversold or it wasn’t genuine, and then it fell short with the rest of the experience. This tends to happens within all industries. Sure, the logo and ads are important, but it can’t stop there. When our clients focus on the full Branded Customer Experience, they advertise less and get more word-of-mouth.